Rectangular and L-shaped panels composing a high facing. The decoration is composed of a narrow kufic epigraphic band and a main section with an octagons modular pattern. A fleur-de-lis is inserted in every corner of the epigraphic band, interrupting the sequence of the words. The octagons modular pattern generates cross-shaped elements. A motif of four pairs of convergent fleur-de-lis fills the octagons, which are framed by a beaded band. 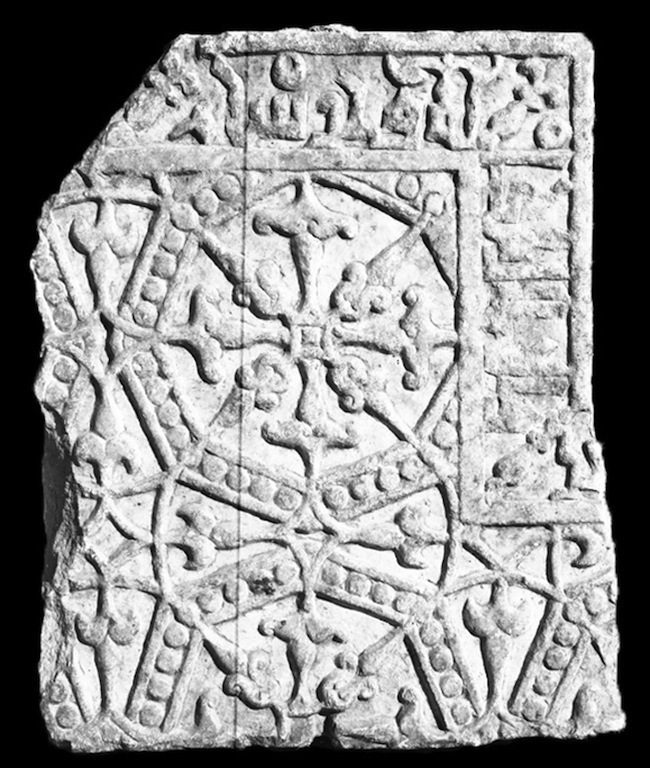 A motif of trilobated and interlaced fleur-de-lis, converging in groups of four towards a small central lozenge inscribed in a square pattern, fill the cross-shaped elements. The only known artifact included in this type was purchased in Ghazni in late 1950s-1970s.